In this tech talk, you will learn how to optimally route traffic to your multi-regional endpoints via static anycast global IP addresses that are announced from the expansive AWS edge network, using the new service AWS Global Accelerator. 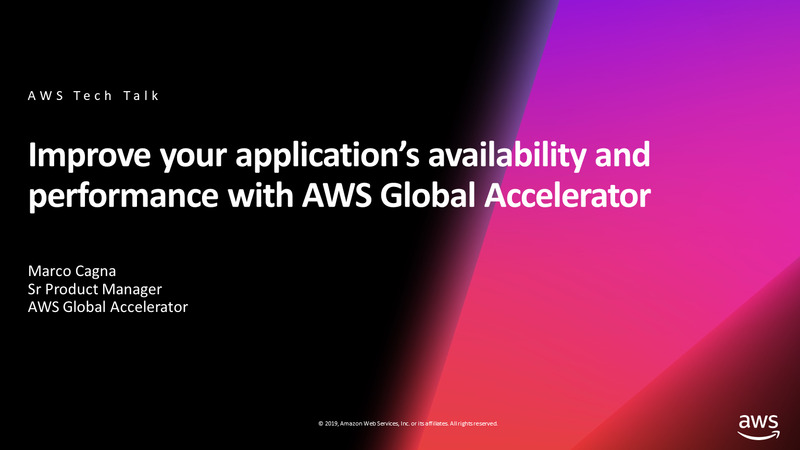 You will learn about the most common use cases and how you can use Global Accelerator to achieve near-zero application downtime and reduce latency for your AWS workloads. In this interactive session, we will walk you through the Global Accelerator architecture and the main distinction between our different global services. This tech talk will also include a demo of the Global Accelerator console workflow.